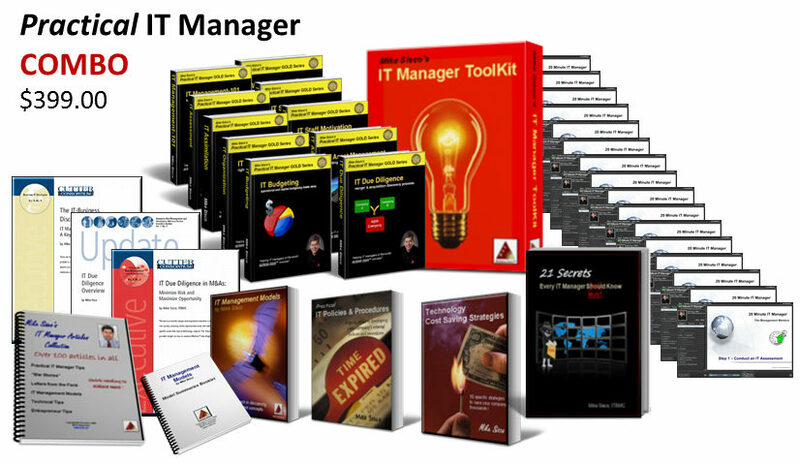 IT managers and CIOs can struggle when it comes to getting their projects approved. It’s usually because they lack one or more of the key pieces you need to get an IT project approved and funded. The CEO of a small company sees his CIO walking down the hall and toward his office to talk with him. The CEO quite often wants to find a way out of the room to avoid having this conversation. He’s not going to understand what the CIO will be talking about because he always discusses things in technology terms and jargon. The CIO is going to ask him for money to fund a project. If the CEO doesn’t understand what the CIO is saying, it’s hard for him to give his CIO the money. You might be surprised, but this scenario happens quite often, especially in small and mid-sized companies. It’s important to know what a CEO is looking for. Above all, the CEO looks for the “why”. What are the benefits in doing this project and what will it do for our company… WHY? I believe there are five key components in the dynamics of getting any IT project approved. 1. The project must address a legitimate business need or issue. All project recommendations you make should be business-driven, plus there should be a business sponsor identified for each recommendation. This business sponsor can come from the CIO, but most of the time it should be someone from the business operations of your company. The project should eliminate or minimize a risk, achieve an opportunity, or address a material issue of the business. The bottom line is that all IT projects need to help the business in some way, and it always helps when you identify IT projects that originate from a legitimate business need. Projects that are business-driven always have an edge in getting approved. 2. The project should deliver business value. 3. All projects must be cost-justified. The benefits of doing a project should outweigh the cost and effort. In other words, there needs to be real benefit to the company to invest time and money into doing something. If you can’t justify the cost of a project to senior management, odds are high you won’t get the approval you seek. Address regulatory or compliance requirements. 4. The project must be in context with the company’s current situation. You may have a project that addresses a high-risk issue and is easily cost-justified, but if there is no money available, senior management may not be able to approve the project right now. They may choose to take the risk. Senior managers balance risk and business issues all the time, plus there are many other departments in the company that need funds to address their initiatives and needs. If cash flow is tight, the best project to recommend might be a less important project that creates a cash flow benefit or cost savings that helps your company afford to sign up for your primary project later. 5. IT must have a proven track record. Senior management won’t hear much of what you have to say if you lack credibility. The way to achieve credibility is by delivering projects successfully and doing what you say you will do. Simply put, you have to establish credibility by delivering projects successfully once they are approved. This creates trust and a sense of predictability that will help you in efforts to get projects approved. You want to turn the scenario I talked about at the beginning of this article from one where the CEO is looking to avoid having a discussion with his CIO to a situation where he wants to walk out and greet him because he knows the CIO is bringing him something worthwhile. Delivering the goods once projects are approved. This is how CIOs and IT managers become partners with the executive management team. I hope this insight helps you get your next project approved. 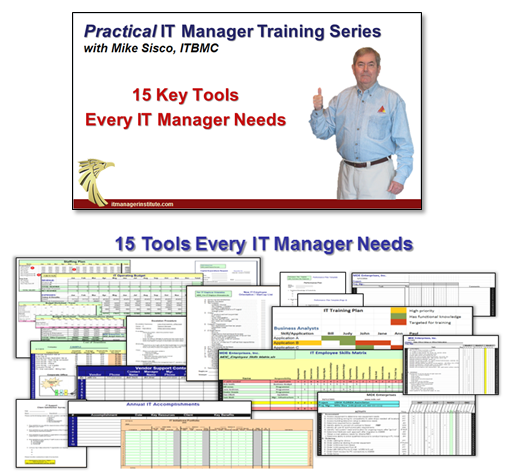 Note: This article first appeared in my Practical Management Tips for IT Leaders BLOG on CIO.com. 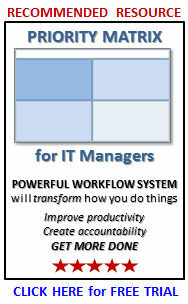 This entry was posted in IT Manager Tips and tagged it project approval, it projects, justifying it projects. Bookmark the permalink.